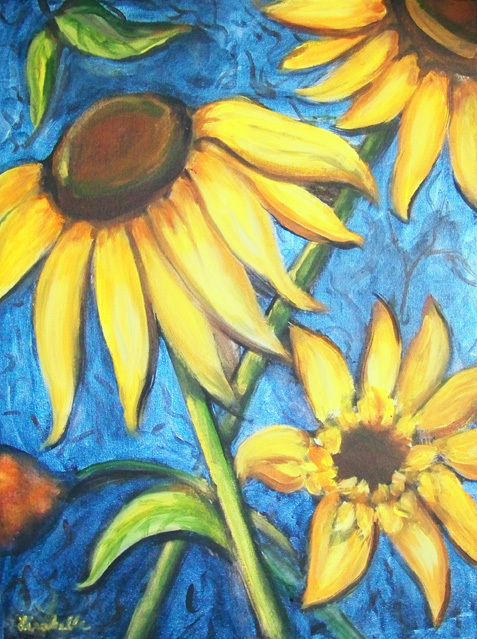 A commissioned painting of Black-eyed Susans for Shirley's Daughter's Graduation Gift. Shirley while surfing the internet, found the website Art by Lisabelle. however it could be re-produced and made available to Shirley, for her Daughter's Graduation gift. A successful commission and shipping to Connecticut in time for the ceremonies. 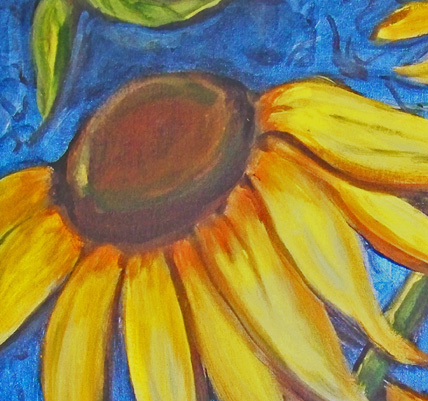 (see "Blackeyed Susans 2012, it in it's entirety and close-ups below).